Ready for a relaxing, family-friendly getaway? Omni La Costa Resort and Spa is a luxury resort in sunny Carlsbad, California. It is one of the best-rated family resorts in the U.S. and is a top golf and spa destination as well. I stayed at Omni La Costa for a family travel conference, and was wowed by all of the great amenities for families. This resort would be perfect for a romantic getaway too. Carlsbad makes a great base for a Southern California family vacation. 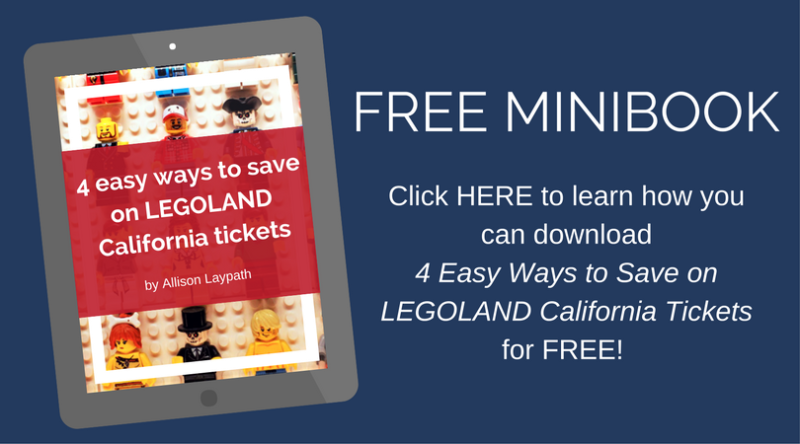 This year-round beach town is the home of LEGOLAND California and near the San Diego Zoo Safari Park. It’s a short drive from all of the family activities in San Diego and a reasonable distance from Disneyland as well. When I arrived at my beautiful and spacious Omni La Costa suite, I called my husband to ask if he really couldn’t just get on a plane and join me. Alas, it was impractical, but I really wanted to share the experience with my family. My suite had a king size bed, separate sitting room, deep spa tub, oversize bathroom, private patio, pull-out couch, two televisions and a full-size closet with plush robes. I loved the historic Spanish mission-style architecture of the resort. Omni La Costa has been one of the top resorts in the area since 1965, and its atmosphere is one of well-established confidence and character. If my kids had been with me, they would have spent as much time as possible in the family pools. Though it was late November, the weather was just warm enough for swimming. Omni La Costa was named a “Top 10 Family Vacation Spot” by the Travel Channel and the Sandy Beach Family Pool, splash pad and water slides have to be a big part of that. Omni La Costa also has a kids’ club, teen game room, giant-size chess and checkers on the grounds and a schedule of seasonal activities for families. Fire pits were lit throughout the common areas of the resort during my stay. They were surrounded by comfortable seating, perfect for evening conversation and family fun. Consider attending one of the resort’s s’mores events for families, or bring your own s’mores supplies! Omni La Costa is a large property. My room was in the 900 block and was so far away from the front desk, restaurants, pool and shops that I had the option to call for a golf cart any time I didn’t want to walk. I did walk most of the time. It was only about 5 minutes, and the 70-degree November temperatures and lovely, well-manicured grounds were so nice, I wanted to enjoy them on foot. If I had wet, pool-soaked children, or if I was worried about keeping track of my family on a large property where the buildings all look alike, the distance might have been more of a problem. There are rooms that are closer to the action. Whether you prefer to be near the hub or as far away as possible, be sure to make a request when you make your reservation if location matters to you. Carlsbad is an outstanding destination for golfers. Omni La Costa has two golf courses, year-round sunshine, and Carlsbad is home to 35+ golf manufacturers, including Titleist, TaylorMade and Callaway. Omni La Costa’s spa was named #1 Wellness Spa in the U.S. by Spa Magazine and #4 Spa in North America by Travel+Leisure. Yoga classes and other fitness activities were offered each morning of the conference and I roused myself early to attend one of them. I have not done much yoga before and was worried about looking stupid, but was pleasantly surprised. The instructor was encouraging and easy to follow. I felt great at the end of the class. I would enjoy the opportunity to try some of the other spa treatments and classes at Omni La Costa on another visit. Two restaurants, poolside cafes and an adult lounge specialize in local, farm-fresh cuisine designed to delight the foodie palate. We were treated to an evening poolside buffet hosted by Bistro 65 and I enjoyed both traditional favorites and inventive dishes. The gourmet Macaroni and Cheese station was especially fun. Even my kids would have liked that. Omni La Costa does not have as much to offer families who prefer budget dining or familiar chains. You’ll need to drive to find those restaurants, and Carlsbad has plenty of options. There is a coffee shop on site that serves light breakfast and lunch items a la carte. Omni La Costa does not have complimentary in-room refrigerators, which was a disappointment. Omni La Costa is located a few miles inland and its size isolates it from the rest of Carlsbad. This contributes to the wonderfully serene atmosphere, but does not make it as accessible to popular local attractions. 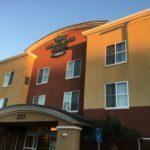 LEGOLAND and the beach are still just a short drive away, but unlike some other local hotels, Omni La Costa is not located on the beach and does not offer a complimentary shuttle. Omni La Costa is perfect for laid back vacations where you return home relaxed and recharged. While there are lots of fun things to do in and around Carlsbad, you should save at least one full day to sleep in, relax at the pool, golf course or spa and spend evenings around a fire pit or in your private spa tub. I truly enjoyed my stay at Omni La Costa Resort and Spa and I recommend it enthusiastically. Whether you’re planning a family vacation, romantic getaway or a trip with friends, Omni La Costa is a great setting for making special memories. Disclosure: My stay at Omni La Costa Resort and Spa was complimentary, as part of my attendance at the TMS Family Travel conference.